Small textile drawings, simple and succinct, drawn from my imagination and intuition. A selection of small textile drawings presented as works on paper. Simple and succinct, they are drawn from my imagination and intuition. 7 x 7.25 inch textile mounted on 10 x1 0 inch watercolor paper. 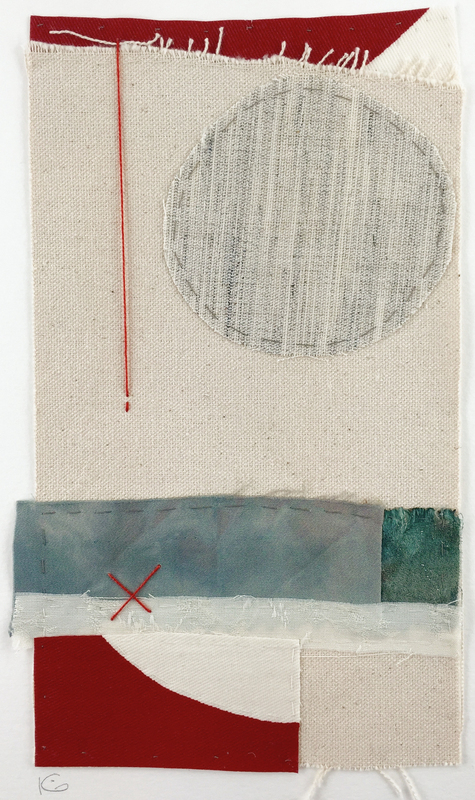 Canvas, linen, discarded oil painting remnant, graphite, cotton thread, perle cotton, hand embroidery.